Following the installation of the November 10 2015 updates, users may have problems with Outlook crashing when they view HTML messages. Windows 7 64-bit is definitely affected; other versions of Windows may be affected as well. This is caused by Security Update for Microsoft windows (KB3097877). 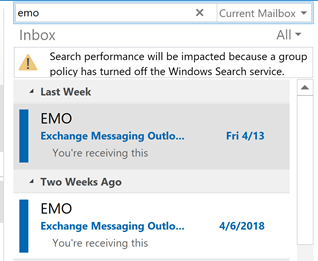 Outlook should work correctly after this update is removed. If the problem is not fixed after you reboot, uninstall Security Update for Microsoft windows (KB3101746). After uninstalling, you should also run Windows update and hide KB3097877, if found, so that it is not reinstalled. To uninstall the updates, open Control Panel and find Programs and Features. Click Uninstall an update on the left. 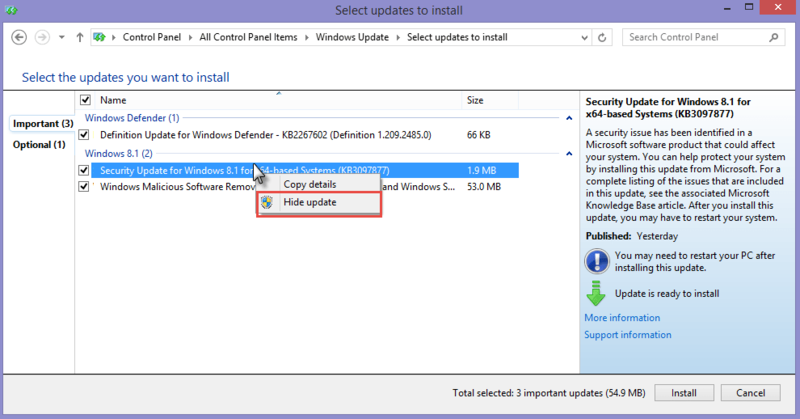 Find Security Update for Microsoft windows (KB3097877). Select it and click Uninstall. After Windows reboots, open Control Panel and find Windows Update. Click Check for Updates. 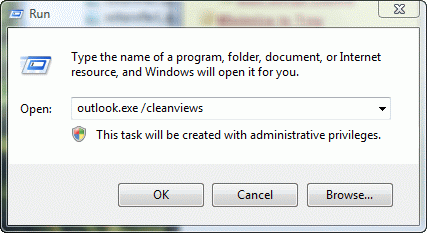 If Security Update for Microsoft windows (KB3097877) is found, right click on it and choose Hide. This will prevent it from being reinstalled. If Outlook continues to crash, uninstall Security Update for Microsoft windows (KB3101746). Published November 11, 2015. 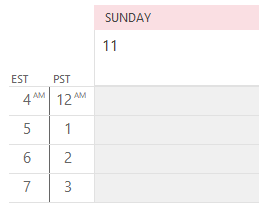 Last updated on November 12, 2015. Thanks! This helped me immensely! I would just like to say thanks very much for this tip. 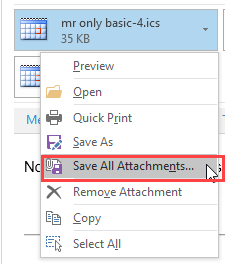 We have an office of 6 people running Outlook 2013 on Windows 7 Pro under Server 2012 and everyone of us experienced this problem. Doing as recommended above fixed the problem for all of us and we were back up and running in 10 minutes. A real time saver for our business. And as time is money, whoever runs this site has saved us a lot of money and frustration. Thank you very much. (this comment was erroneously posted on a different page).